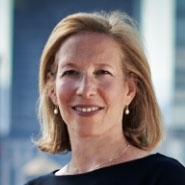 Belinda Schwartz was quoted in New York Real Estate Journal's "2015 Year in Review" special section regarding the emerging trends that will drive New York City real estate development in 2016. As "land is finite, developments costs are high, and there's an imbalance between supply and demand" in Brooklyn and Manhattan, Schwartz believes more real estate investors will look to the Bronx. "We took a group of developers on a trolley tour of the Bronx this fall, and everyone perked up," she said. "They saw great public transportation, a big supply of development sites, and capitalization rates that are two points higher than Manhattan, and a point higher than Brooklyn on average."